Tagged attracting bees and other pollinators to gardens, Bumble Bee on Blue Flower (Veronica spicata 'Sunny Border Blue'), Bumble Bees, bumblebee.org, learning about bees, Lespedeza thunbergii, Pollinator: North American Native Bumble Bee, The Honeybee Conservancy, Veronica spicata, Veronica spicata 'Sunny Border Blue', What does it mean when a Bumble Bee raises its leg? I believe it attracts honeybees, Calamintha nepetoides: very fragrant, covered with tiny white flowers in late summer, more bees per square foot than any other plant I have seen. I have two each of two types, one bushier, the other more low-growing. 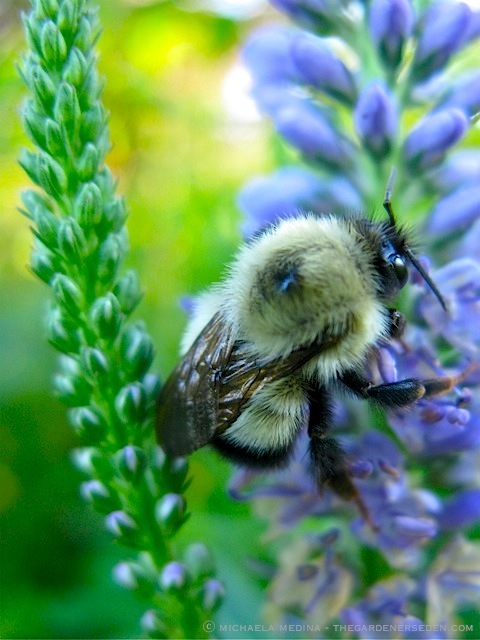 The bees will not bother you because they will be too busy working the plant. 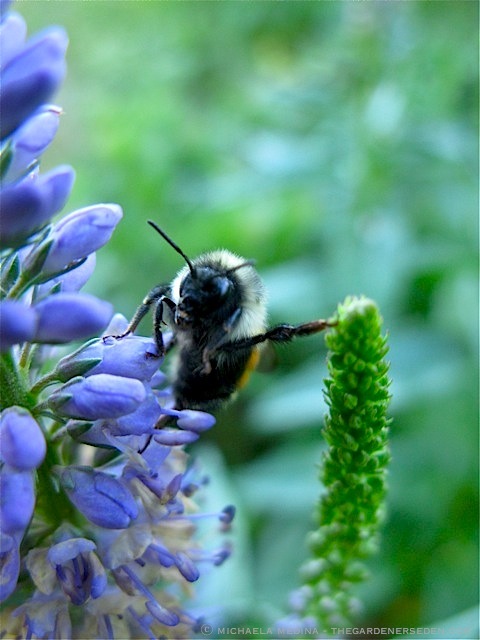 You are currently reading Native Pollinators: A Close Up Look at The Humble Bumble Bee … at The Gardener's Eden.